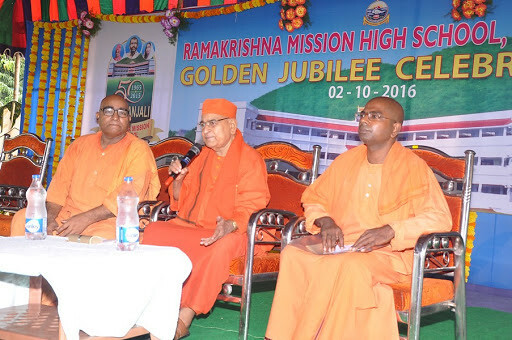 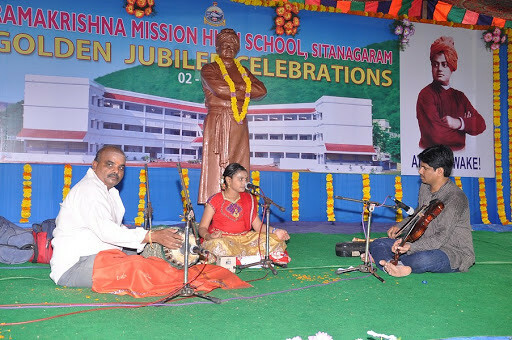 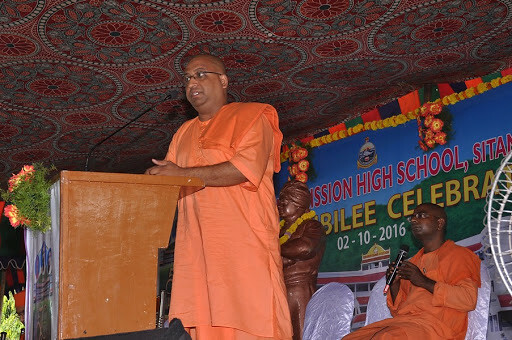 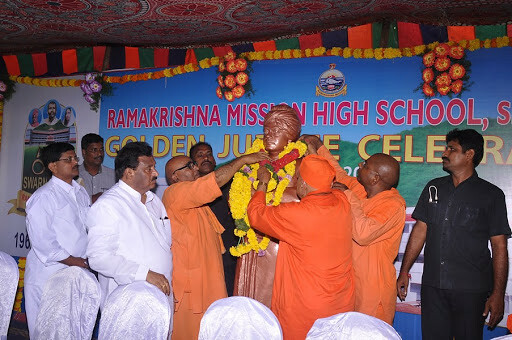 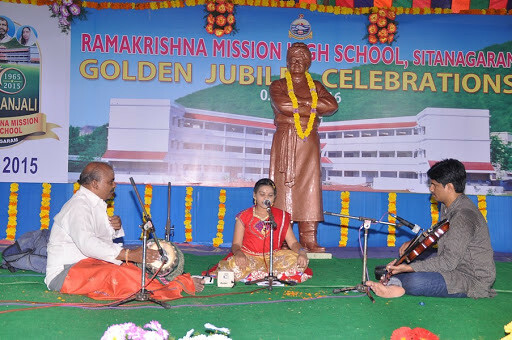 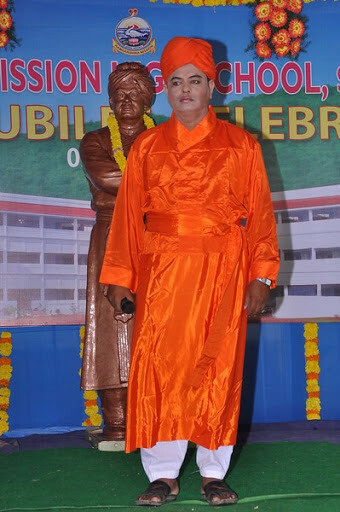 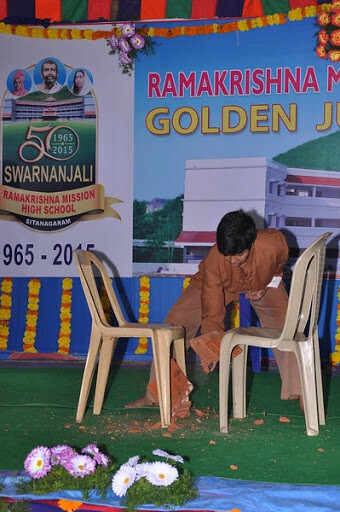 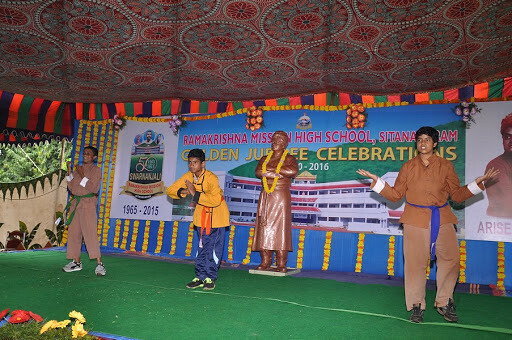 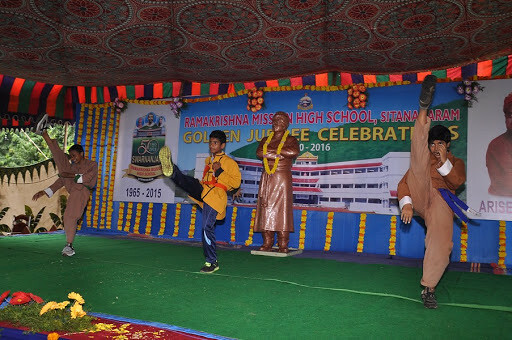 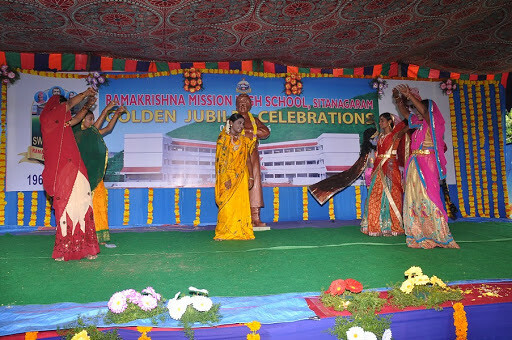 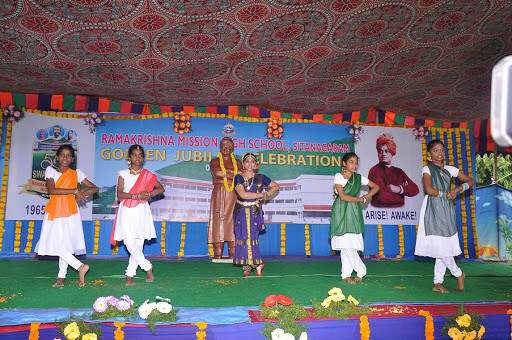 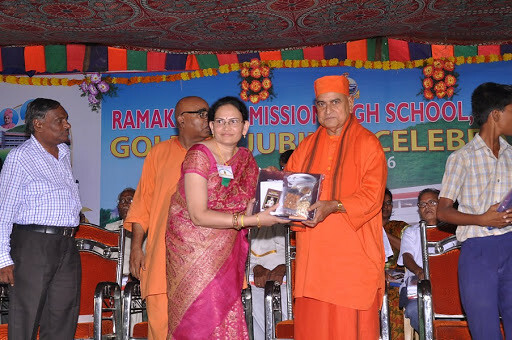 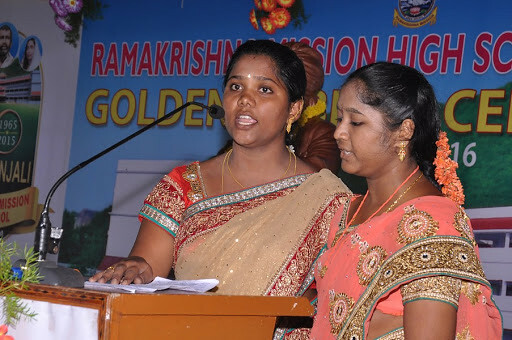 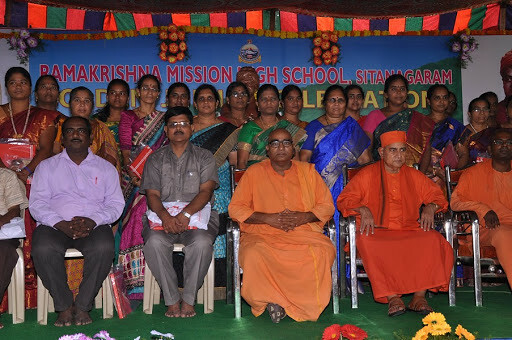 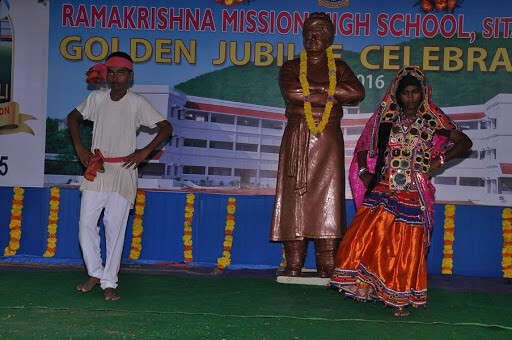 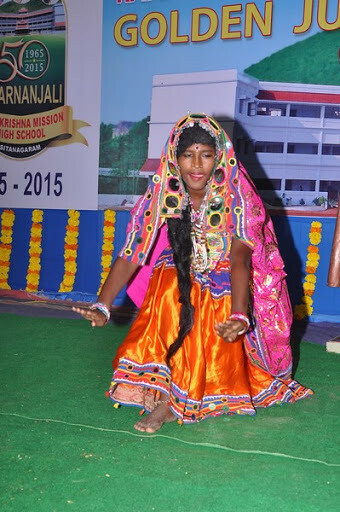 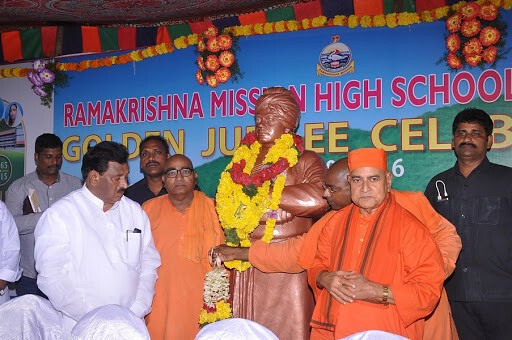 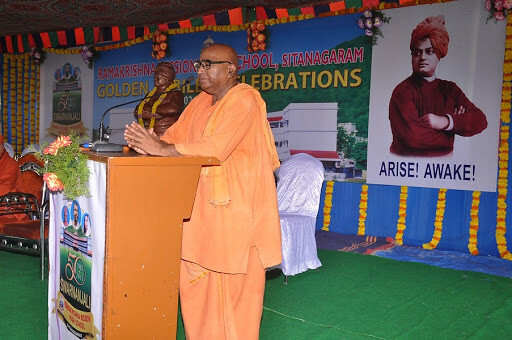 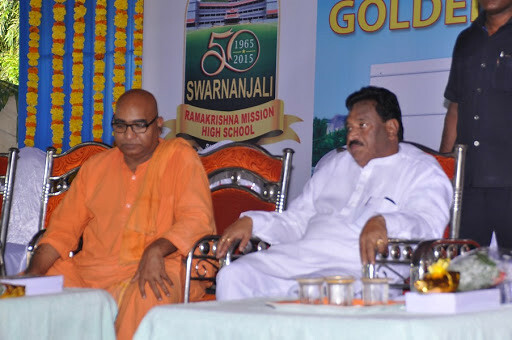 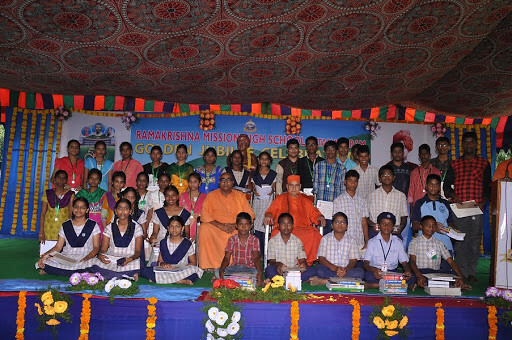 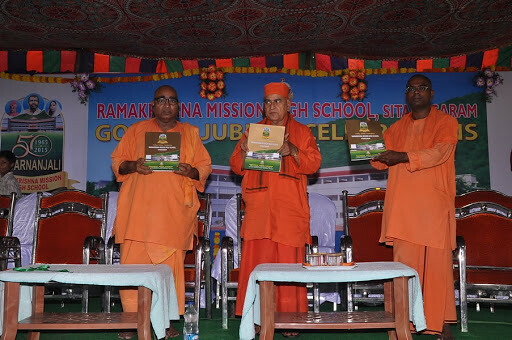 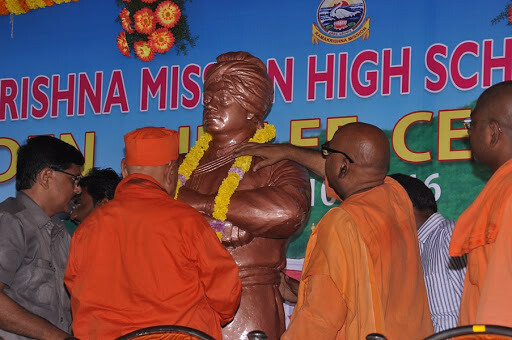 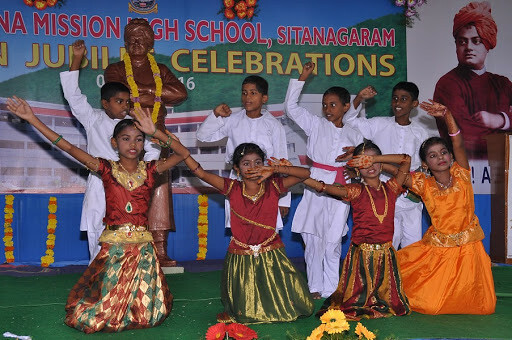 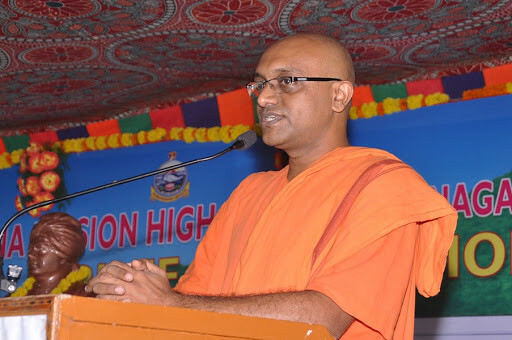 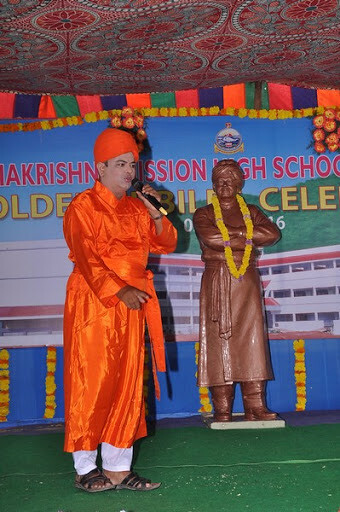 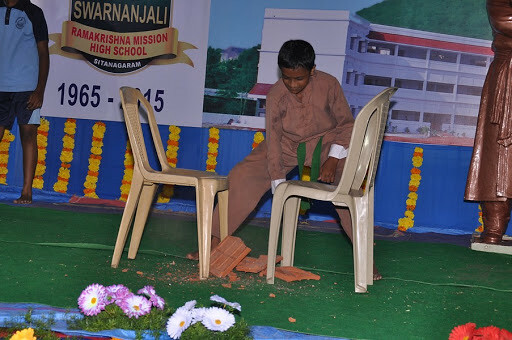 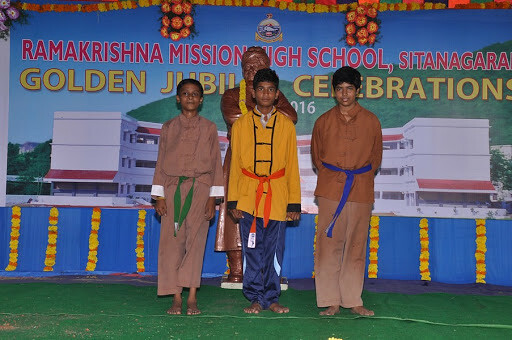 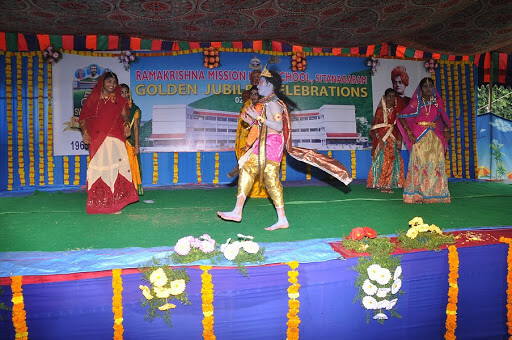 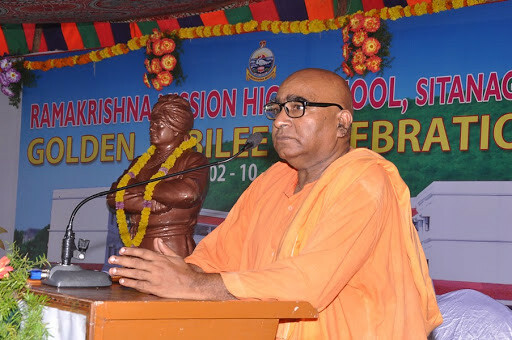 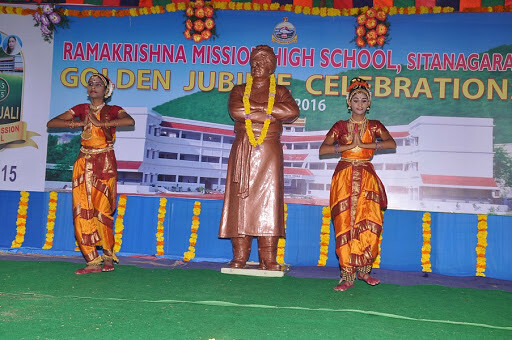 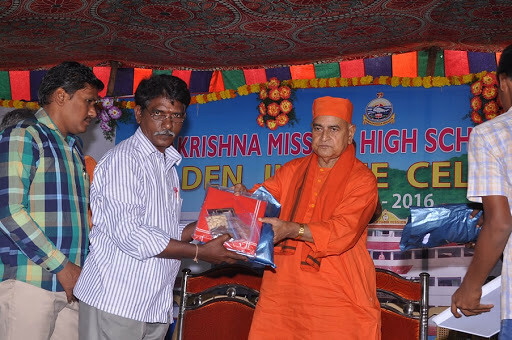 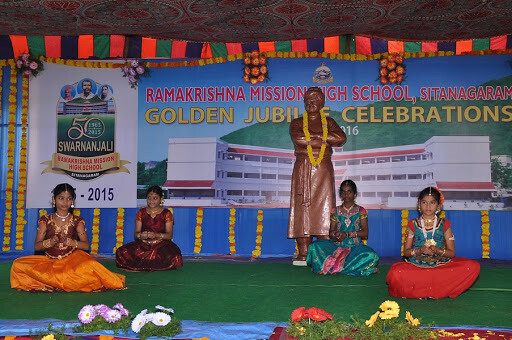 Golden Jubilee Celebrations of Ramakrishna Mission High School, Sitanagaram, formerly known as Sri Ramakrishna Vidyalaya High School were organized on 02.10.2016. 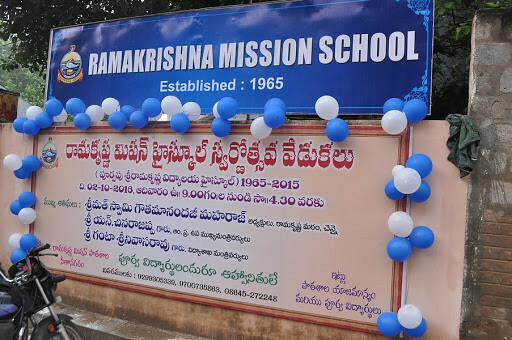 Started in the year 1965 under the auspices of local Ramakrishna Samithi, the school was taken up by Ramakrishna Mission in the year 2001. 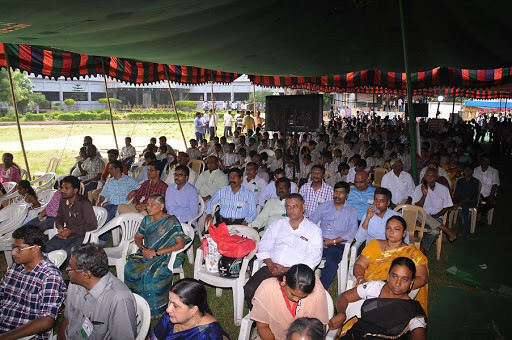 On the occasion of Golden Jubilee, an alumni meet and a public meeting were organized befitting the occasion. 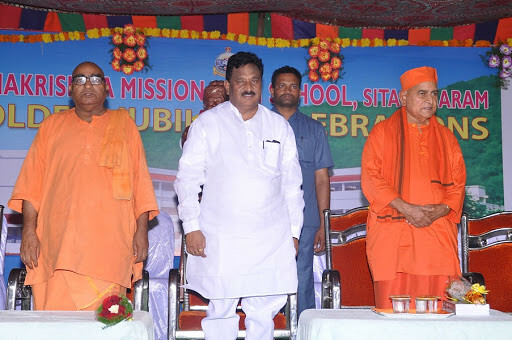 The programme started with hoisting the Indian national flag by Srimat Swami Gautamanandaji Maharaj, Trustee, Ramakrishna Math; Governing Body Member, Ramakrishna Mission and Adhyaksha, Sri Ramakrishna Math, Mylapore Chennai. 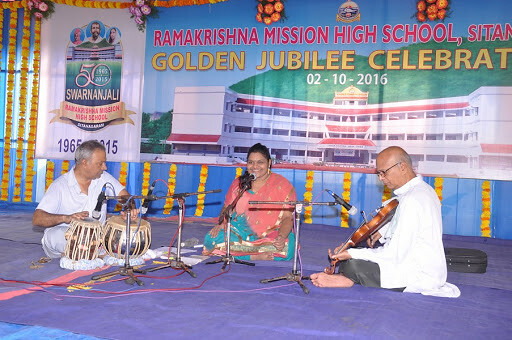 Following a musical programme, Revered Maharaj addressed the gathering and felicitated the present teaching & non-teaching staff of the school. 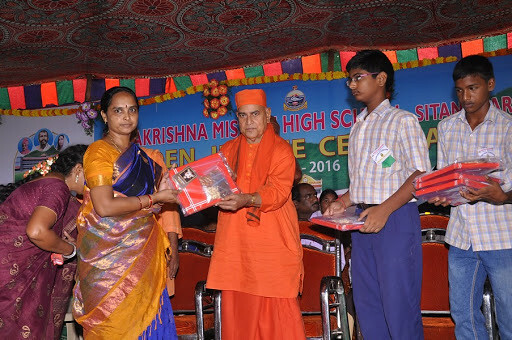 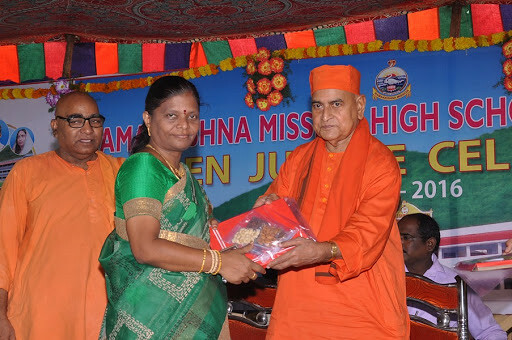 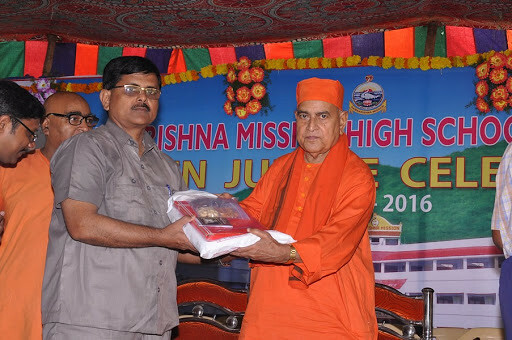 Medals and merit scholarships were also given to the deserving students by Revered Maharaj. 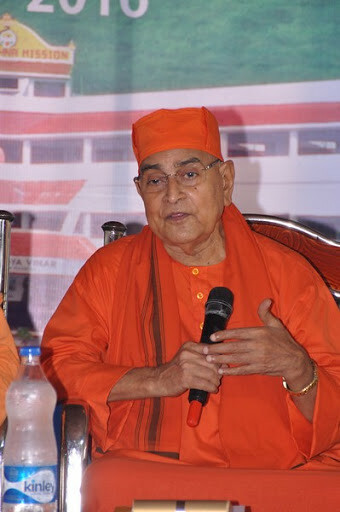 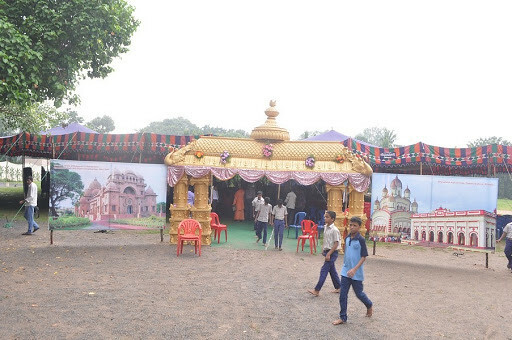 The public meeting, held on the same afternoon, was presided by Revered Maharaj. 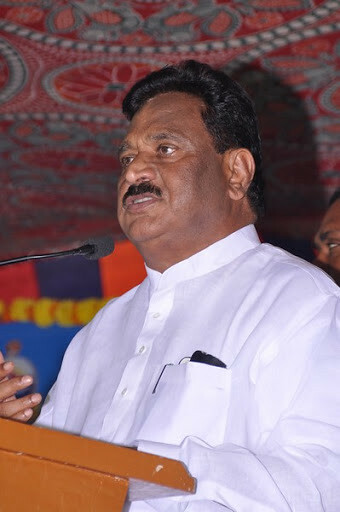 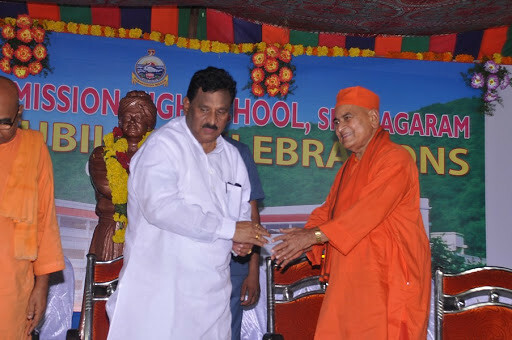 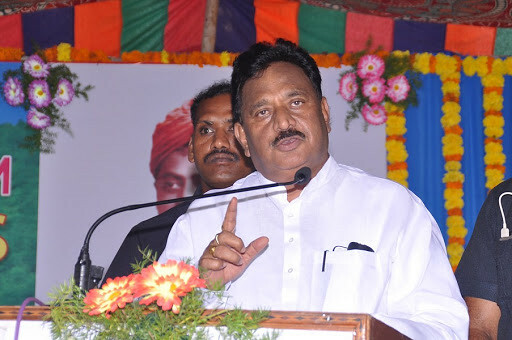 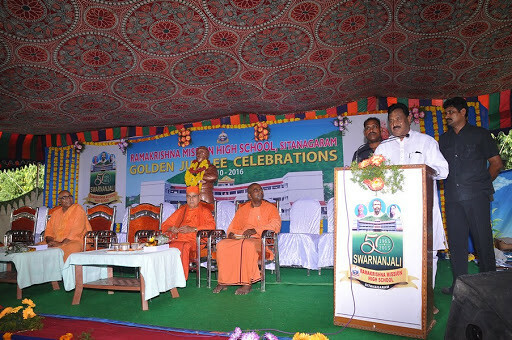 Sri N. Chinarajappa, Deputy Chief Minister and Home Minister of Andhra Pradesh was the chief guest for the function. 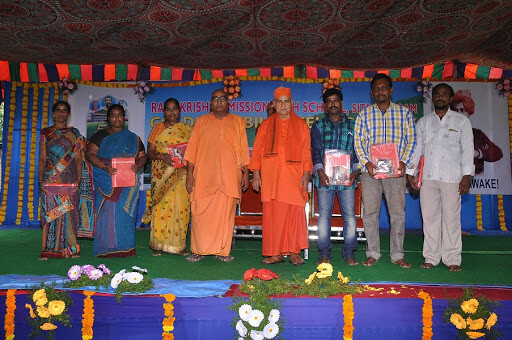 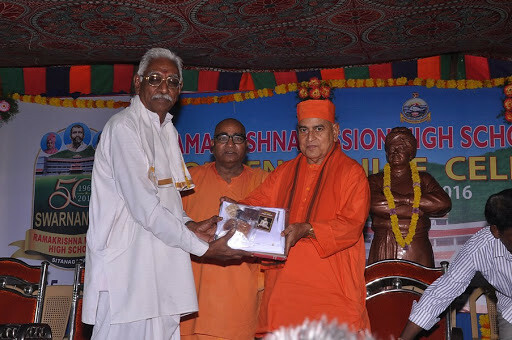 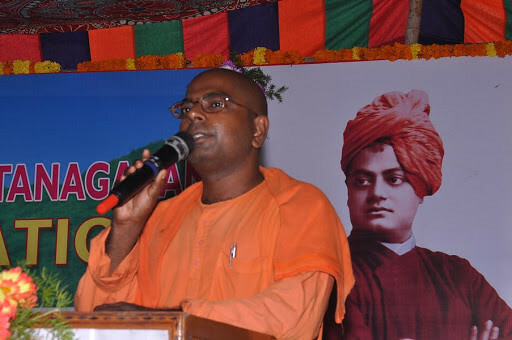 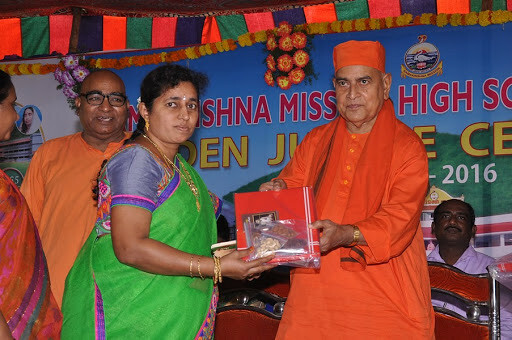 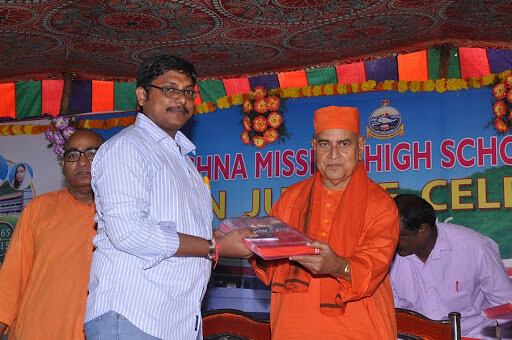 Followed by welcome address and report by Swami Sashikantanandaji Maharaj, Secretary, Ramakrishna Misson, Vijayawada/Sitanagaram, ‘Swarnanjali’ – Souvenir commemorating the event was released. 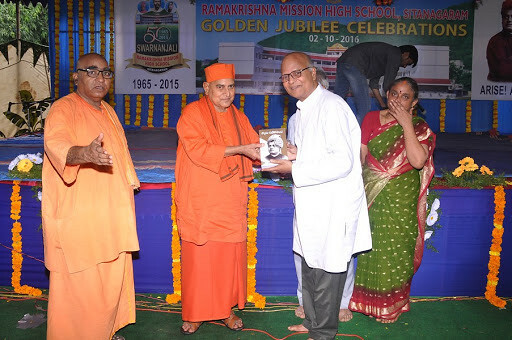 Revered Maharaj felicitated the retired teaching & non-teaching staff of the school. 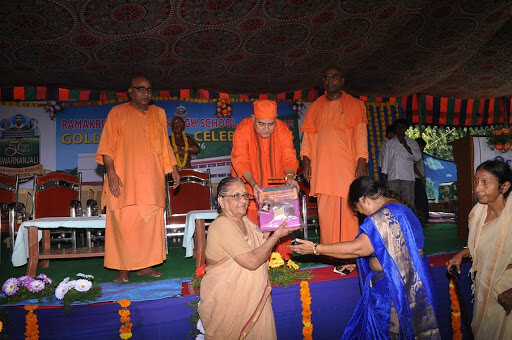 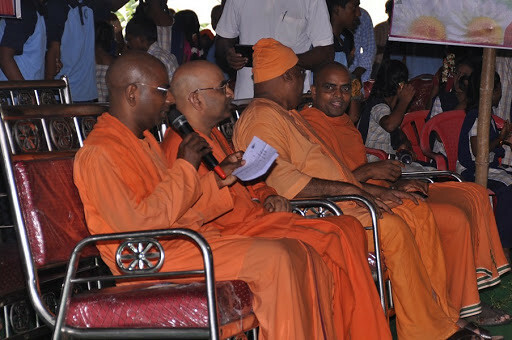 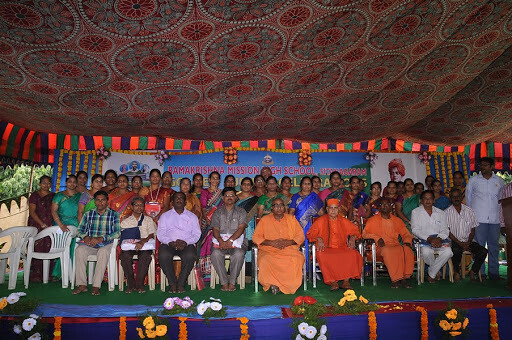 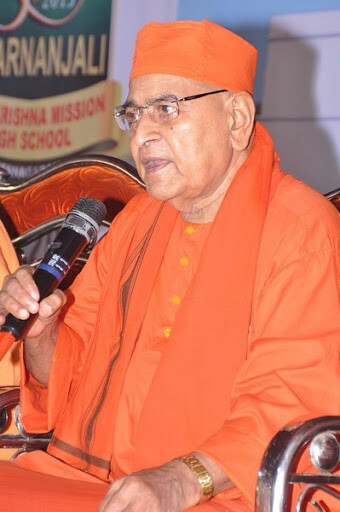 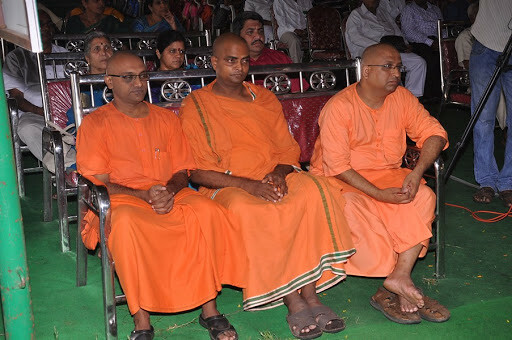 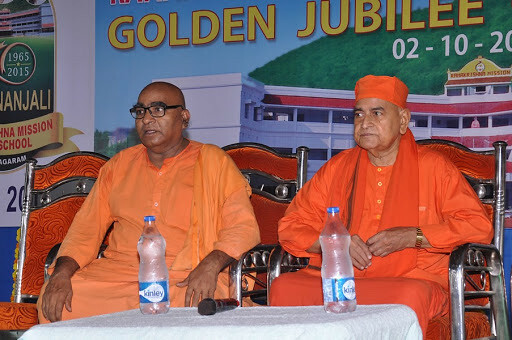 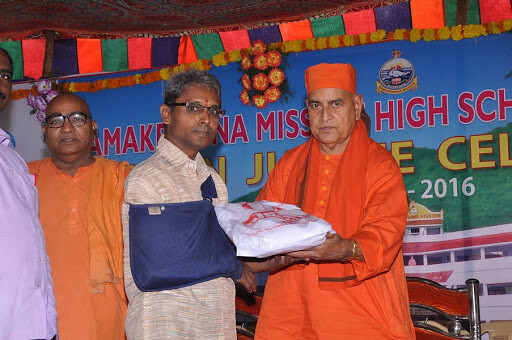 The following Swamis graced the occasion: Swami Kapalishanandaji Maharaj, Secretary, Ramakrishna Mission, Rajahmundry; Swami Parijneyanandaji Maharaj, Editor, Sri Ramakrishna Prabha, Ramakrishna Math, Hyderabad; Swami Guneshanandaji Maharaj, Ramakrishna Mission Ashrama, Vishakhapatnam; Swami Ishapremanandaji Maharaj, Ramakrishna Math and Mission, Kadapa; Swami Yadavendranandaji Maharaj, Sri Ramakrishna Math, Chennai and Br. 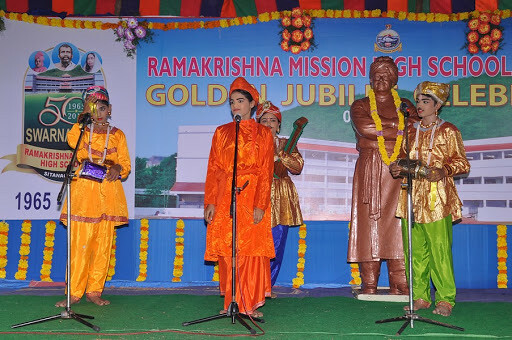 Jyotishachaitanya, Ramakrishna Mission Ashrama, Tirupati. 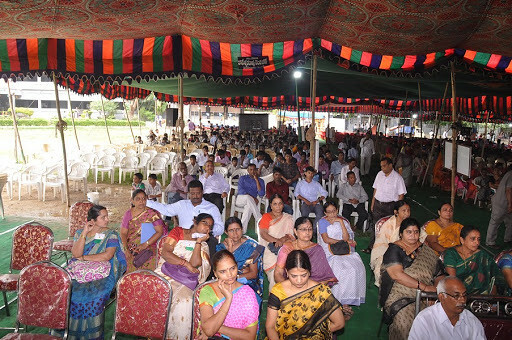 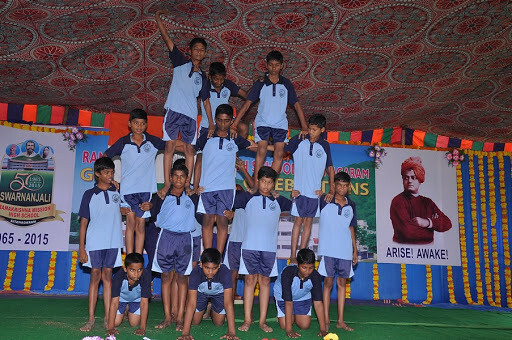 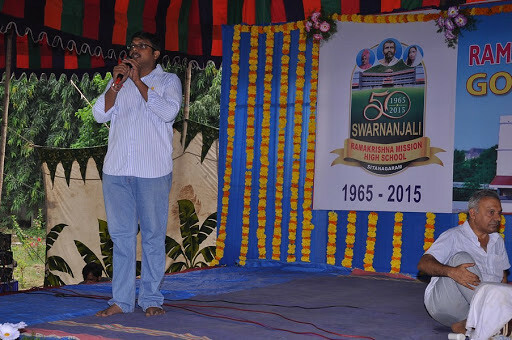 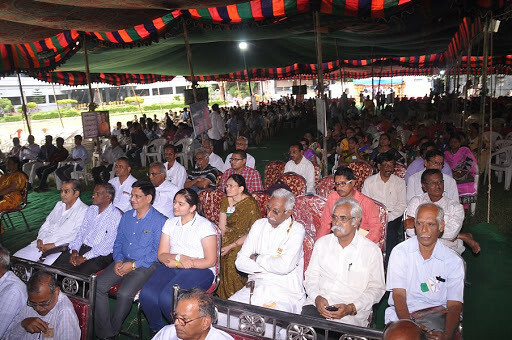 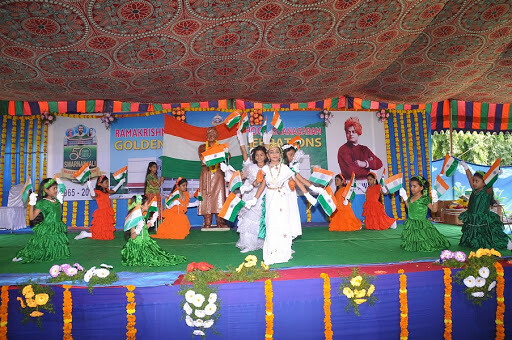 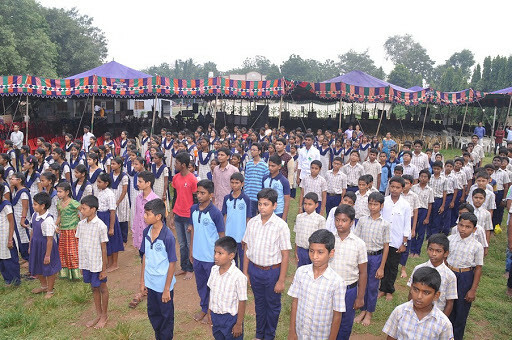 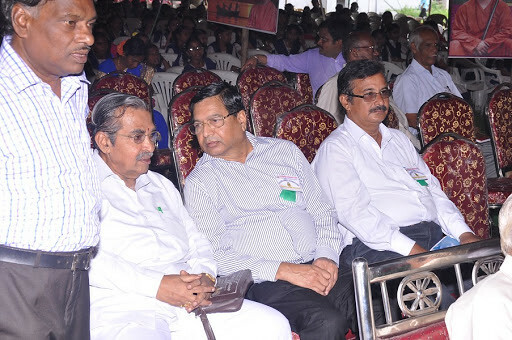 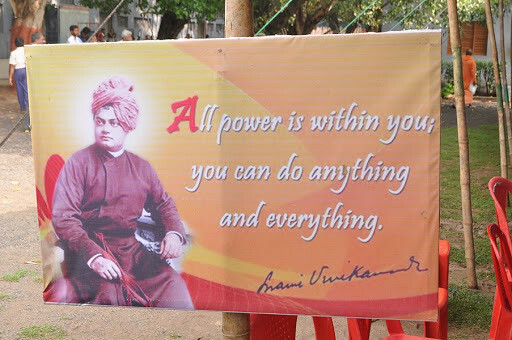 Teachers, staff, students, alumni along with their families – in all 2500 participated in the function. 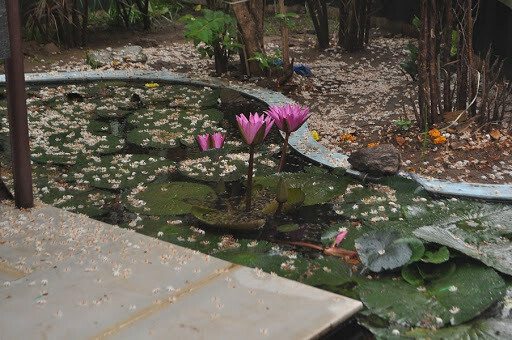 Lunch, tea & snacks were served to all. 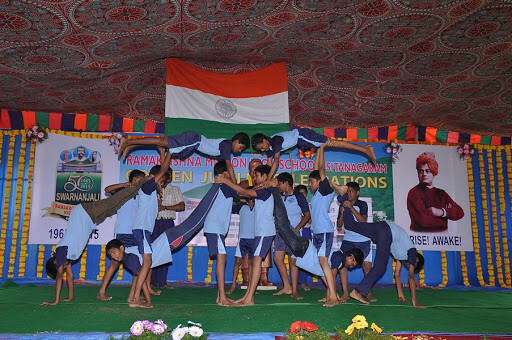 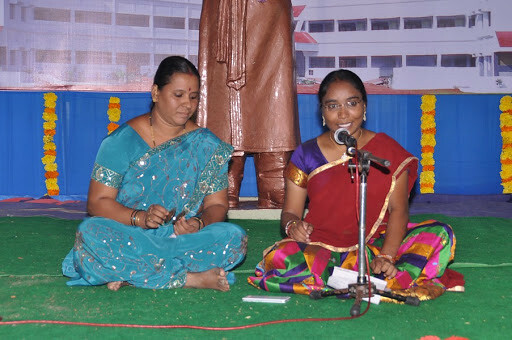 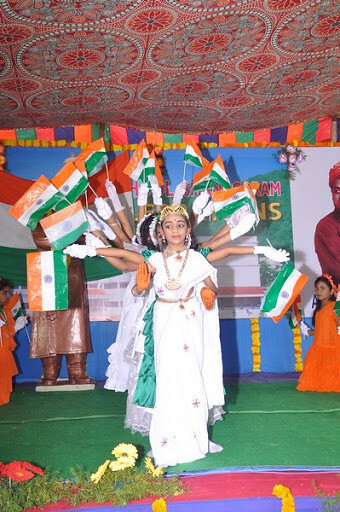 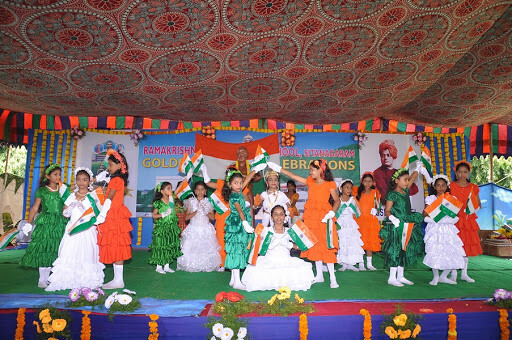 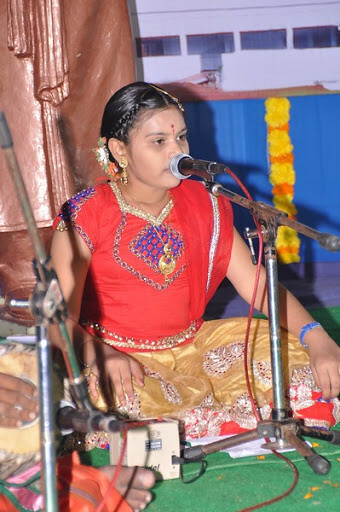 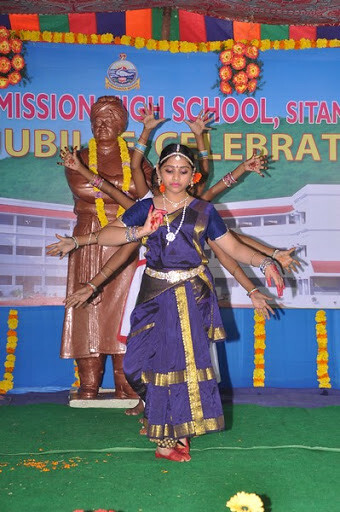 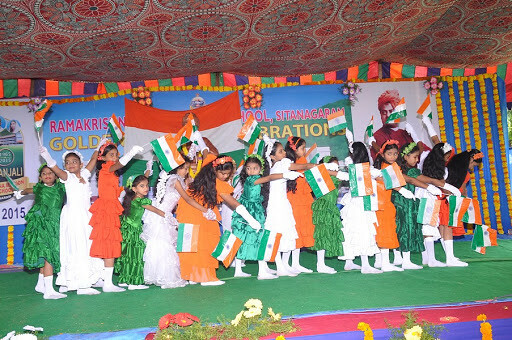 Several cultural programmes were performed by present students, alumni and others. 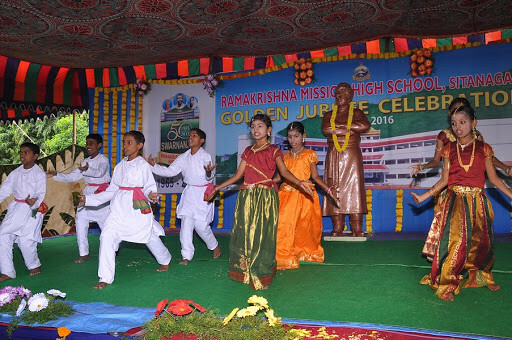 A photo gallery consisting of old and new photos depicting history of the school and Ashrama activities was also arranged.